The Cake Engineer: Wilton Course 3: Final Class Cake! Wilton Course 3: Final Class Cake! 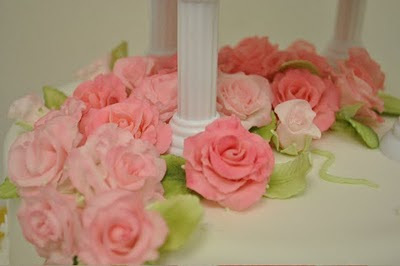 Remember all those fondant roses I was working on? The top tier was actually a 6" dummy. 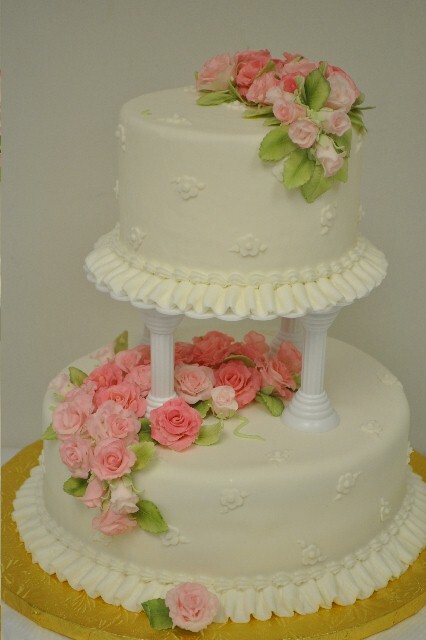 Both tiers were covered in white fondant. When we got to class, we used the push-in pillars to create the structure. Let's be clear on one thing: I'm not a big fan of white plastic pillars. But I'm a good student and I do as I'm told. :) But seriously, if it were up to me, I'd probably wrap dowels in fondant so that the color and texture would look more like the cake and less like cheap plastic. 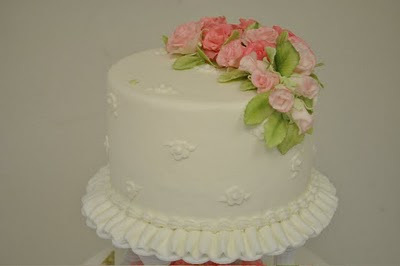 Finally, we put on the flowers we brought to class, using buttercream as the glue. 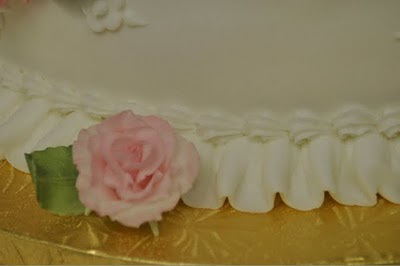 A view of the top of the cake. 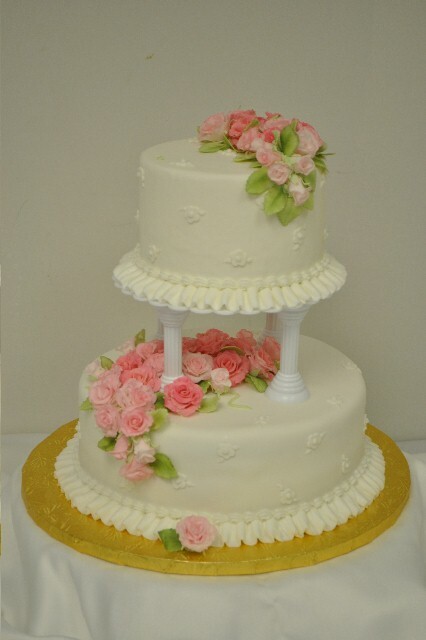 The bottom tier flower cascade. The nice white photo background was set up in my class-- the other pictures are from their normal spot on my dining room table. Also, one of the fabulous ladies in my class had a fabulous camera, and supplied me with some super high quality pics, so thanks to her! What a beautiful cake, Roxanne! Congratulations, Roxanne. Job well done. I wish I worked with you!